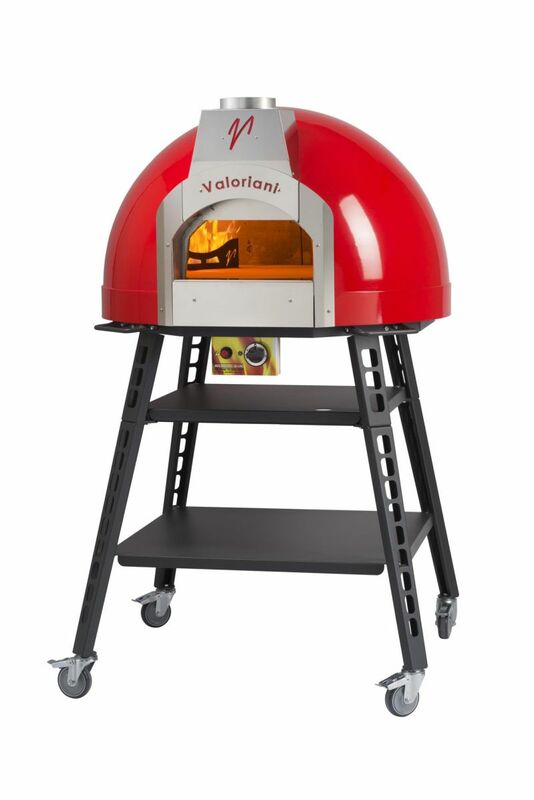 Valoriani UK – the Rolls-Royce of wood-fired pizza oven manufacturers – has launched a second and larger version of its hugely popular wood-fired baby ‘starter’ oven, the Fornino, and can hardly keep up with demand from UK homeowners wishing to upgrade their alfresco entertaining. 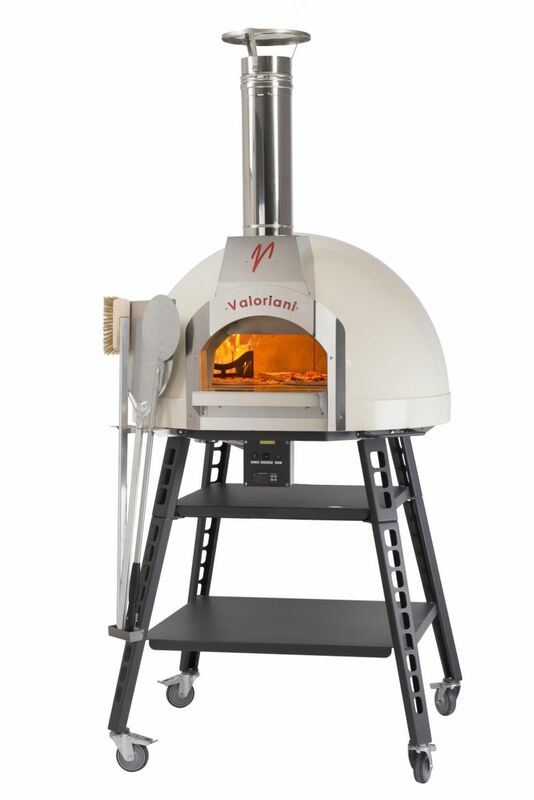 The ‘flaming marvellous’ Fornino 75, launched in time for Christmas 2018 sales, offers a good increase on the pizza cooking capacity of the Fornino 60, due to its world-leading 4cm-thick oven floor measuring 75cm x 75cm, as opposed to the smaller Fornino’s 60cm x 60cm-sized floor. This allows Fornino 75 owners to cook two 30cm pizzas simultaneously. Alternatively, they could cook a pizza plus food such as sausages or potatoes in a small skillet or cook-pan or rustle up a variety of other food in pans and dishes. The oven, like its smaller sister, looks drop-dead gorgeous out on the patio or lawn, coming in a colour choice of cream, black or red. The Fornino 75 has a superb 4cm-deep handmade refractory clay dome and excellent levels of insulation underneath their attractive and weatherproof shell, which also carries a stainless-steel, rust-proof flue and rain-cap. And, what comes out of the flue will not land homeowners in any trouble with clean-air laws, as all Valoriani UK ovens have DEFRA approval to operate in Smoke Control Areas. This is far from the norm, with many ‘illegal’ wood-fired pizza ovens being sold to residents living in such areas. The Forninos both come with a sturdy, self-assembly metal, four-wheeled stand, which makes them fully mobile. A three-piece tool set is included, along with a one-hour training video. Most importantly, for those wanting to indulge in some one-upmanship, the ovens carry the status symbol that is the Valoriani ‘V’, on a stylish black steel front panel above the oven mouth. Whilst some homeowners may still feel nervous about cooking with wood, the great news is that both ovens are also available as gas ovens. If you want to rustle up something different for this year’s Christmas or New Year dinner, head to www.valorianiuk.comto find out more, or call 01772 250000.